The Airtel Smart Connect 2.0, is however a new offer that offers its prepaid customers six times the value of every recharge. In other words you get more airtime on your line to call any network of your chosen. According to Airtel, SmartConnect 2.0 is specifically designed to give more value and enrich the lives of telecoms consumers, also empowering them to do much more as well as succeed in their personal and professional endeavours. 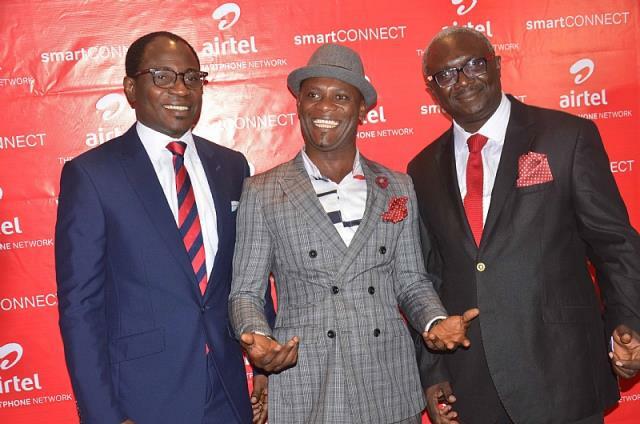 Also Commenting on the SmartConnect 2.0 new Tarrif plan, The chief commercial officer, Airtel Nigeria Ahmed Mokhles said the product reaffirms Airtel’s commitment to offer a unique telecommunication experience and amazing opportunities to new customers on the network. He noted customers can enjoy extensive hours of calls and browsing on the new package. Mokhles noted that, as the name implies, Smart Connect 2.0 gives smart connectivity and choice to customers on the network to keep everyone connected to their families, friends and loved ones. “As Nigeria’s leading network in innovation, Airtel is committed to exploring new opportunities that will enrich the lives of telecoms consumers and empower them to do so much more in their professional and personal lives,” Mokhles said. Am sorry to break it to you, to get on with this great airtel 6 times value offer you need to get yourself a new airtel sim, get registered and recharge with *126*pin# and *123# to check your balance, the instant you recharge on the line using the code, you get credited with your 6 times value for your recharge. What is The Validity of The Airtel 6 times value for every recharge ? The bonus Airtime or data is valid for only 7days, however your main account balance has no validity. Interestingly, you can rollover unused bonus or data bonus but to do this you will have to recharge your line within the period of the validity and it will be extended. It is important to note that all calls from both Main Account and Bonus will be charged at 50k/sec.